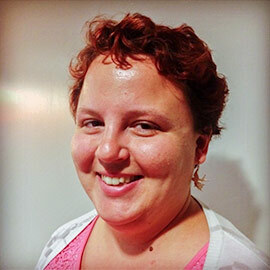 Alumna Emily Carruthers joined the Faculty of Music as Laurier’s new music therapy placement coordinator, a role previously held by long-term staff member Debra Martz Melanson. Carruthers studied voice with Lynda Mieske, graduating in 2010 with her Honours Bachelor of Music, and went on to complete her Master of Music Therapy degree in 2012. She is excited to be back at Laurier part-time coordinating the music therapy placements for the undergraduate and graduate students. Outside of Laurier, Carruthers works as a music therapist in the Kitchener-Waterloo community with children and in long-term care.